While installing an app with an apk file manually, sometimes Android shows “Parse error: There is a problem parsing the package.” This is followed by a failed install. Sometimes, retrying the installation fixes the problem, but most of the time, it does not. The problem could be the Google Play Services or the Download Manager, which it is, mostly. But this is not guaranteed always. What is Android Parse Error? 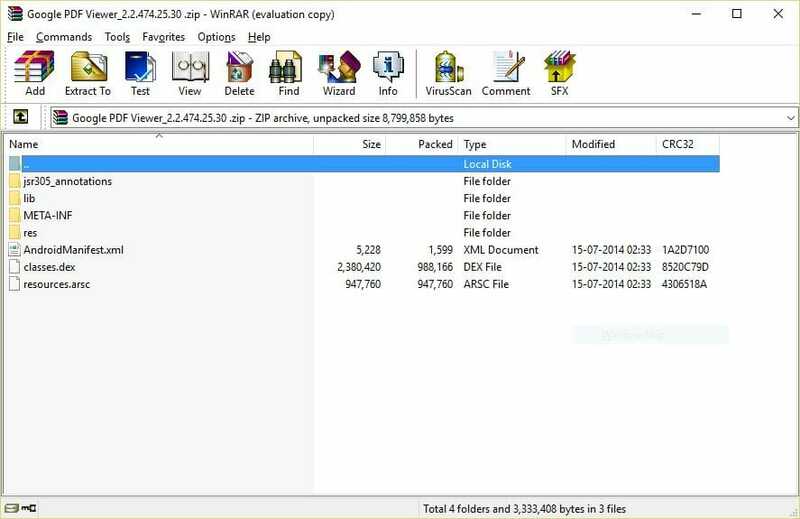 The APK files that you download from the internet, are just glamorized zip files and not much else. Try changing the extension of a “.apk” file to “.zip” and you’ll see the files and other data present in that archive. Take a look at the Google PDF viewer APK. I downloaded the apk file and made changes to its extension by renaming. Now it’s a zip file. 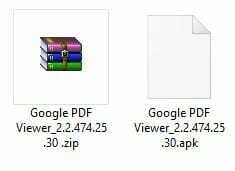 Now I can even view the contents of this file by opening it in WinRAR or 7Zip. I’m using WinRAR to view the contents of the apk file. Sometimes, while being transferred from one device to another, the contents of this file get corrupt (which is not uncommon, BTW). When this happens, we get the Android Parse error while installing apk files. When does the Android Parse Error show up? The app version is not compatible with the Android version on your device. The downloaded apk file is bad. There could be multiple other reasons for this error, but the aforementioned ones are the most common ones. I’ll list a fix for each of the three causes of parse error I listed above. The Package manager is an application inside the Android OS which handles the installation of external apk files. This package manager generally doesn’t store any more than a few KBs of data, but sometimes, that data can get messed up too. To fix, this, we will clear its data the cache. Go to Settings > Apps to see the list of all the apps installed on your device. Click on the 3-dot menu to open the hamburger menu and then select “Show System” to show system apps on this list. Select the Package installer from this list. Click on FORCE STOP and then go to Storage. 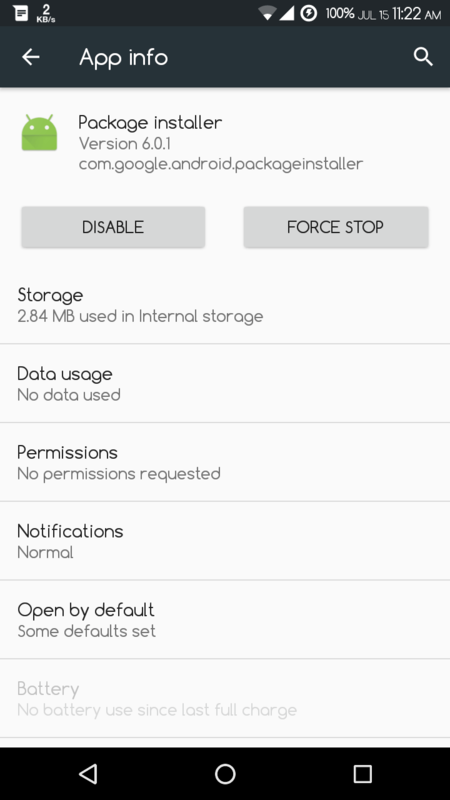 In the Storage screen, click on CLEAR DATA and CLEAR CACHE. Try installing the app now and it should not show the Parse error. If the parse error still shows up, then you’ll have to make sure that the app you are trying to install is actually compatible with the Android version on your device. It is quite easy to do. Head over to the Play Store entry (suppose Google PDF Reader) for the app that you are trying to install. Scroll down to the ADDITIONAL INFORMATION section and take a look at the Requires Android heading. It will tell you what Android version that app requires. If this version doesn’t conform to the version of Android you are running on your device then the app won’t install or run. There’s technically no fix for this, but you can try contacting the developer for further assistance from the Developer heading in the ADDITIONAL INFORMATION section. You can also see if any alternatives with similar functionality is available on the Play Store. Last, but not the least, sometimes, the apk file can get corrupted during the file transfer and this can cause problems in installation. Try downloading the apk file again from the same or different source to check whether that was the problem or not. Try these steps, and the Android parse error will not show up for you while installing the apps via the apk files.